Travelindustrydeals: Hot Air Ballooning Deals in Sri Lanka’s stunning Landscape!! 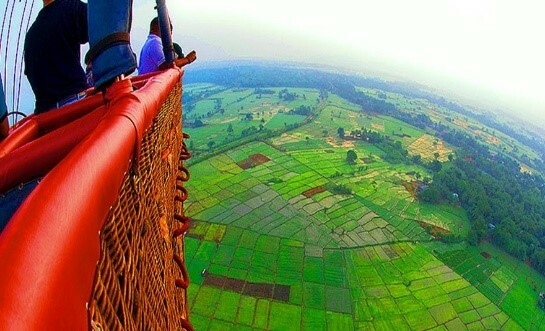 Hot Air Ballooning Deals in Sri Lanka’s stunning Landscape!! Hot Air Balloon Tours in Sri Lanka - a great way to experience the exhilaration of flight with a bird's eye view of the area below. 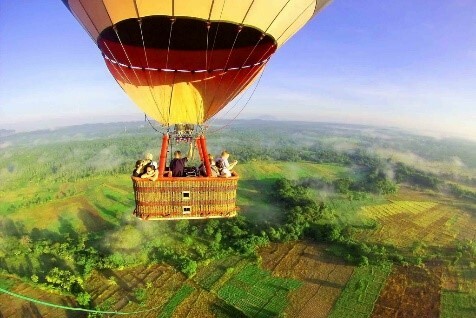 It is a silent ride through the sky, an excursion that has caught on fast with locals and tourists alike. 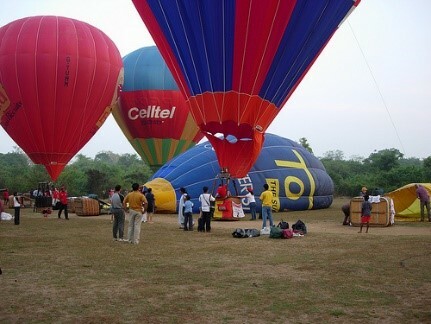 Hot air ballooning is drifting gently over the cultural triangle, or a wildlife park making unforgettable memories. Nothing beats a hot air balloon excursion across the central plains in our opinion. Hot air ballooning tours are available from the north central plains of the island where one can be carried away under blue skies and over the landscape dotted with many little man-made lakes where one might even spot an elephant near these tanks, ancient monuments, propose to your fiancée in a hot air balloon, celebrate your birthday in a hot air balloon, exchange vows and get married in the air in a hot air balloon! Functioning from Dambulla, the service is available From December to March.